Najmah, a young Afghan girl whose name means "star," suddenly finds herself alone when her father and older brother are conscripted by the Taliban and her mother and newborn brother are killed in an air raid. An American woman, Elaine, whose Islamic name is Nusrat, is also on her own. She waits out the war in Peshawar, Pakistan, teaching refugee children under the persimmon tree in her garden while her Afghan doctor husband runs a clinic in Mazar-i-Sharif, Afghanistan. Najmah's father had always assured her that the stars would take care of her, just as Nusrat's husband had promised that they would tell Nusrat where he was and that he was safe. As the two look to the skies for answers, their fates entwine. Najmah, seeking refuge and hoping to find her father and brother, begins the perilous journey through the mountains to cross the border into Pakistan. And Nusrat's persimmon-tree school awaits Najmah's arrival. Together, they both seek their way home. Known for her award-winning fiction set in South Asia, Suzanne Fisher Staples revisits that part of the world in this beautifully written, heartrending novel. In the wily Parvana, Ellis creates a character to whom North American children will have no difficulty relating. The daughter of university-educated parents, Parvana is thoroughly westernized in her outlook and responses. A pint-sized version of Offred from Margaret Atwood's The Handmaid's Tale, Parvana conceals her critique of the repressive Muslim state behind the veil of her chador. Although the dialogue is occasionally stilted and the ending disappointingly sketchy, The Breadwinner is essential reading for any child curious about ordinary Afghans. Like so many books and movies on the subject, it is also eerily prophetic. "Maybe someone should drop a big bomb on the country and start again," says a friend of Parvana's. "'They've tried that,' Parvana said, 'It only made things worse.'" Introduction by Bill Maher. 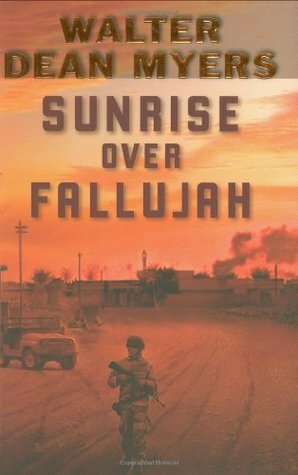 When U.S. bombs started raining on the Taliban, Rall jumped on a plane straight to the war zone to get the real story for himself. Featuring his Village Voice articles and a graphic novel. In its first years as an independent state, Azerbaijan was a prime example of post-Soviet chaos - beset by coups and civil strife and astride an ethnic, political and religious divide. Author Goltz was detoured in Baku in mid-1991 and decided to stay, this diary is the record of his experiences. Tom Cutter is in love with airplanes and has been from his boyhood. He can remain in England, an employee in another man's aviation business, or he can set out on his own. With little more than personal grit and an antique aircraft, Cutter organizes an independent flying service on the Persian Gulf. He sees opportunities everywhere, also dangers. In her Bangladesh village, ten-year-old Naima excels at painting designs called alpanas, but to help her impoverished family financially she would have to be a boy--or disguise herself as one. “One of the new tiger cubs has escaped from the reserve!”When a tiger cub escapes from a nature reserve near Neel’s island village, the rangers and villagers hurry to find her before the cub’s anxious mother follows suit and endangers them all. Mr. Gupta, a rich newcomer to the island, is also searching—he wants to sell the cub’s body parts on the black market. Neel and his sister, Rupa, resolve to find the cub first and bring her back to the reserve where she belongs. The Bhutanese way of life can seem daunting to most Westerners, whose lives are consumed with time, efficiency, and acquiring things. But Leaming shows us that we don’t necessarily have to travel around the world to appreciate a little Bhutan in our own lives, and that following our dreams is the way to be truly happy. Often seen as a magical paradise at the end of the world, Bhutan is inaccessible to most travellers. Set against the dramatic scenery of the Himalaya, this beautiful memoir reveals hardships and happiness in a land almost untouched by the West. When Britta, a young physiotherapist, goes to work in a remote village hospital, her good intentions are put to the test amid monsoons, fleas and shocking conditions. But as she visits homes in the mountains and learns the mysteries of tantric Buddhism, the country casts its enduring spell. 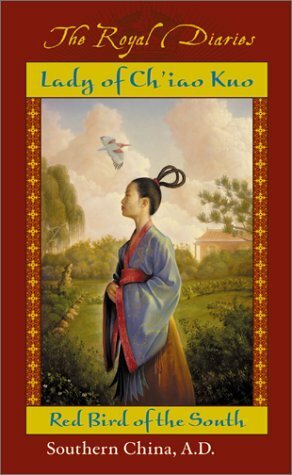 Gaining insights into the traditions of this mystical kingdom, she makes friends and falls in love. Bhutan will change her life forever. A darkly humorous coming-of-age novel set in Brunei on the island of Borneo, Written in Black offers a snapshot of a few days in the life of ten-year-old Jonathan Lee, attending the funeral of his Ah Kong, or grandfather, and still reeling from the drama of his mother leaving for Australia and his brother getting kicked out of the house and joining a rock band. Annoyed at being the brunt of his father’s pent-up anger, Jonathan escapes his grandfather’s wake in an empty coffin and embarks on a journey through the backwaters of Brunei to bring his disowned brother back for the funeral and to learn the truth about his absent mother. On a quest that takes him across the little-known Sultanate, past gangs of glue-sniffing poklans (Brunei’s teenage delinquents), cursed houses and weird shopkeepers, Jonathan discovers adventure, courage, friendship and, finally, himself. Award-winning author Minfong Ho tells the story of Nakri's struggles during the Communist takeover of Cambodia in the 1980s. Twelve-year-old Nakri's beloved home in Cambodia is shattered when the nation's capital is overrun by government rebels. Her family is forced to flee, and she and her siblings end up in a children's labor camp, separated from everything they've ever known. At long last, Cambodia is liberated and Nakri's family sets out for America, a place to begin again. There, Nakri learns that she can leave Cambodia behind, but the memories will be a part of her forever. Fleeing war-torn Cambodia in 1980, Dara, her mother, and her older brother find sanctuary in a refugee settlement on the Thailand border, but when fighting erupts, Dara finds herself separated from everyone and everything she loves. Nine-year-old Ling is very comfortable in her life; her parents are both dedicated surgeons in the best hospital in Wuhan. But when Comrade Li, one of Mao s political officers, moves into a room in their apartment, Ling begins to witness the gradual disintegration of her world. In an atmosphere of increasing mistrust, Ling fears for the safety of her neighbors and, soon, for herself and family. Over the course of four years, Ling manages to grow and blossom, even as she suffers more horrors than many people face in a lifetime. When Young Fu arrives with his mother in bustling 1920s Chungking, all he has seen of the world is the rural farming village where he has grown up. He knows nothing of city life. But the city, with its wonders and dangers, fascinates the thirteen-year-old boy, and he sets out to make the best of what it has to offer him. 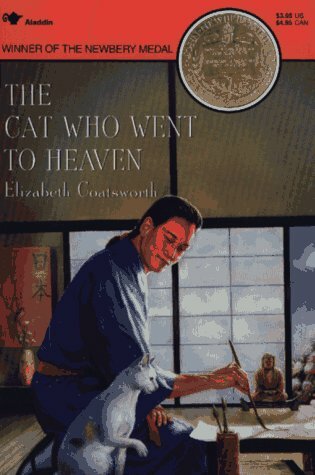 First published in 1932, Young Fu of the Upper Yangtze was one of the earliest Newbery Medal winners. Although China has changed since that time, Young Fu's experiences, like making friends, are timeless. The Royal Diaries proudly presents two-time Newbery Honor author Laurence Yep, whose stunning diary of sixteen-year-old Lady of Ch'iao Kuo takes readers on a remarkable adventure to Southern China in the sixth century A.D. A born leader, Lady of Ch'iao Kuo, also known as Princess Redbird, is both courageous and keenly intelligent. Love in the time of the Tiananmen Square. Anna never imagined living in such a foreign place. Fresh out of high school, she has joined her father, who works in Shanghai. She's eager to see China beyond the bicycle-crowded streets between their apartment, her father's expatriate community and the art school she's attending. That's why she's thrilled when her father hires a cute local -- a fellow student named Chenxi -- to be her translator and guide. Too bad Anna seems nothing but trouble for Chenxi. His ideas about art already rankle the authorities, and he could do without the added attention of being with a wai guo ren -- a foreigner. Even so, he is intrigued by Anna's brashness and the freedoms she takes for granted. But when Anna turns their friendship toward passion, her actions have consequences that are intensified by a watchful regime looking to get rid of disruptive artists. Set around the time of the 1989 Tiananmen Square massacre and inspired by the author's time spent in China as a teenager, Chenxi and the Foreigner crackles with emotion, ideas and authenticity. Mo Yan chronicles the sweeping history of modern China through the lens of the nation’s controversial one-child policy. Frog opens with a playwright nicknamed Tadpole who plans to write about his aunt. In her youth, Gugu—the beautiful daughter of a famous doctor and staunch Communist—is revered for her skill as a midwife. But when her lover defects, Gugu’s own loyalty to the Party is questioned. She decides to prove her allegiance by strictly enforcing the one-child policy, keeping tabs on the number of children in the village, and performing abortions on women as many as eight months pregnant. It is 1984, and fifteen-year-old Maya is on her way to India with her father. She carries with her the ashes of her mother, who recently committed suicide, and arrives in Delhi on the eve of Prime Minister Indira Gandhi's assassination. Maya is separated from her father and must rely upon the mysterious, kindhearted Sandeep to safely reunite them. As her love for Sandeep begins to blossom, Maya must face the truth about her painful adolescence...if she's ever to imagine her future. Pretty as a peacock, twelve-year-old Leela has been spoiled all her life. She doesn't care for school and barely marks the growing unrest between the British colonists and her own countrymen. Why should she? Her future has been planned since her engagement at two and marriage at nine. Leela's whole life changes, though, when her husband dies. She's now expected to behave like a proper widow: shaving her head and trading her jewel-toned saris for rough, earth-colored ones. Leela is considered unlucky now, and will have to stay confined to her house for a year—keep corner—in preparation for a life of mourning a boy she barely knew. When her schoolteacher hears of her fate, she offers Leela lessons at home. For the first time, despite her confinement, Leela opens her eyes to the changing world around her. India is suffering from a severe drought, and farmers are unable to pay taxes to the British. She learns about a new leader of the people, a man named Gandhi, who starts a political movement and practices satyagraha—non-violent protest against the colonists as well as the caste system. The quiet strength of satyagraha may liberate her country. Could she use the same path to liberate herself? A remarkable debut novel set in India that shows one girl's struggle for independence. During World War II and the last days of British occupation in India, fifteen-year-old Vidya dreams of attending college. But when her forward-thinking father is beaten senseless by the British police, she is forced to live with her grandfather's large traditional family, where the women live apart from the men and are meant to be married off as soon as possible. Vidya's only refuge becomes her grandfather's upstairs library, which is forbidden to women. There she meets Raman, a young man also living in the house who relishes her intellectual curiosity. But when Vidya's brother decides to fight with the hated British against the Nazis, and when Raman proposes marriage too soon, Vidya must question all she has believed in. Padma Venkatraman's debut novel poignantly shows a girl struggling to find her place in a mixedup world. Climbing the Stairs is a powerful story about love and loss set against a fascinating historical backdrop. If the gods wanted Akash to have an education, he is told, they would give him one. But Akash has spent his entire twelve years poor and hungry. So he decides to take control of his own life and try for a scholarship to the city school where he can pursue his beloved math. But will challenging destiny prove to be more than he has bargained for? In this raw and powerful novel, fate and self-determination come together in unexpected ways, offering an unsentimental look at the realities of India. In the 1600s, the Mughal emperors of India were among the greatest rulers of the East. Jahanara is the daughter of one of these ultra-rich and powerful figures, Shah Jahan The Magnificent. The oldest and favorite of his children, she is showered with emeralds, diamonds, and rubies, and is attended by numerous servants and learned tutors. Yet, her world is not one of pure contentment. It is rife with intrigue and turmoil as her father fights for his rights to rule - and she struggles against the confinement her Muslim religion dictates. Jahanara's diary allows readers to witness the exotic splendor and unforgettable drama of this past great dynasty. Rosalind awaits the return of her father from the war. Rosalind is kept from boarding school in England at her mother’s insistence. While her father has been at war, Rosalind sees the country slowly change. A man named Ghandi is coming to power, talking about nonviolence and independence from Britain. Rosalind longs to live the life that her heart tells her, not what her parents prescribe for her, but no one seems to listen. This penetrating story, told with lush and vivid detail, contrasts Rosalind’s privilege and daily experiences in India with the hardship of the people around her. As she comes of age during this volatile period of history, will she find the courage to claim her own identity and become her own person? Madras 1910. A troupe of child performers are stranded, having staged a strike against their manager. Their fate now depends on the outcome of a court case, and an alliance with gentlemen of the British Raj. Based on a true story, India Dark recreates shifting friendships and loyalties and the clash of innocence versus experience. Nouri and his cousin Talib can only vaguely remember a time before tanks rumbled over the streets of their Baghdad neighborhood—when books, not bombs, ruled Mutanabbi Street. War has been the backdrop of their young lives. And now Iraq isn't just at war with Americans. It's at war with itself. Sunnis fight Shiites, and the strife is at the boys' doorsteps. Nouri is Shiite and Talib is half Sunni. To the boys, it seems like only a miracle can mend the rift that is tearing a country and a family apart. In early 2008, Iraq experienced a miracle. Snow fell in Baghdad for the first time in living memory. As snow covered the dusty streets, the guns in the city grew silent and there was an unofficial ceasefire. During these magical minutes, Sunni and Shiite differences were forgotten. There was no green zone, no red zone. There was only the white zone. Against this real-life backdrop, Nouri and Talib begin to imagine a world after the war. A powerful new novel about the heroics and horror of war from Walter Dean Myers, whose bestselling book FALLEN ANGELS celebrates its 20th anniversary. Operation Iraqi Freedom, that's the code name. But the young men and women in the military's Civil Affairs Battalion have a simpler name for it: WAR. 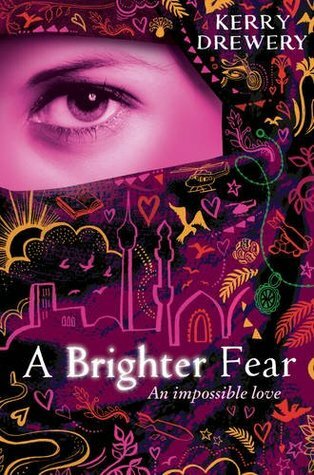 An impossible love story set against the backdrop of the Iraq war, A Brighter Fear will appeal to everyone who loved a gathering light. 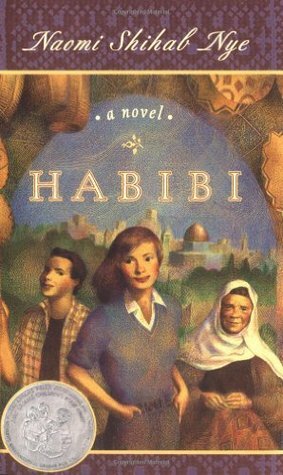 This debut novel is the story of Lina, a teenage girl from Baghdad, and it starts as the bombs fall in 2003. It is a love story: for a country, and for a person too. There is an object that is lost, but may yet be found again. beautiful, contemporary fairytale. Suffice it to say that it will break your heart... but then will put it back together again. 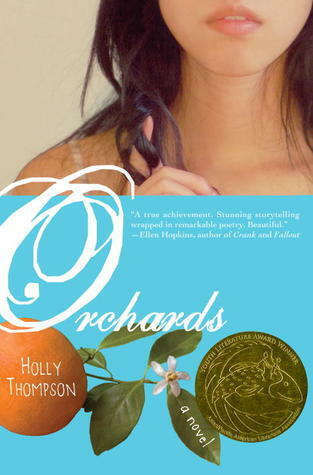 A beautiful novel from a new literary star. These are the words of fifteen-year-old Hadiya, blogging from the city of Mosul, Iraq, to let the world know what life is really like as the military occupation of her country unfolds. In many ways, her life is familiar. She worries about exams and enjoys watching Friends during the rare hours that the electricity in her neighborhood is running. 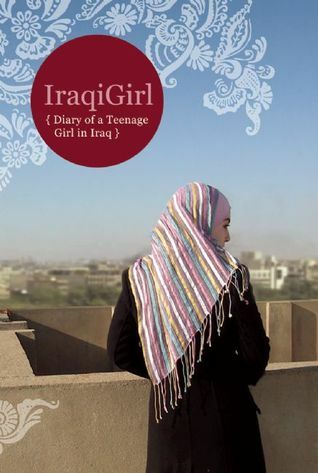 With her intimate reflections on family, friendship, and community, IraqiGirl also allows us to witness the determination of one girl not only to survive, but to create, amidst the devastation of war, a future worth living for. 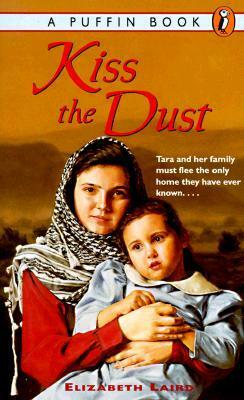 For Tara, the world is turned upside down when her father's involvement in the Kurdish resistance movement forces the family to flee Iraq and eventually seek asylum in Britain. A lost voice of old Japan reclaims her rightful place inhistory in this breathtaking work of imagination and scholarship from award-winning and internationally acclaimedauthor Katherine Govier. In the evocative taleof 19th century Tokyo, The Printmaker’sDaughter delivers an enthrallingtale of one of the world’s great unknown artists: Oei,the mysterious daughter of master printmaker Hokusai, painter of the Thirty-six Views of Mount Fuji. In a novel that willresonate with readers of Tracy Chevalier’s Girlwith a Pearl Earring, Lisa See’s SnowFlower and the Secret Fan, and David Mitchell’s The Thousand Autumns of Jacob de Zoet,the sights and sensations of an exotic, bygone era form the richly captivatingbackdrop for an intimate, finely wrought story of daughterhood and duty, artand authorship, the immortality of creation and the anonymity of history.